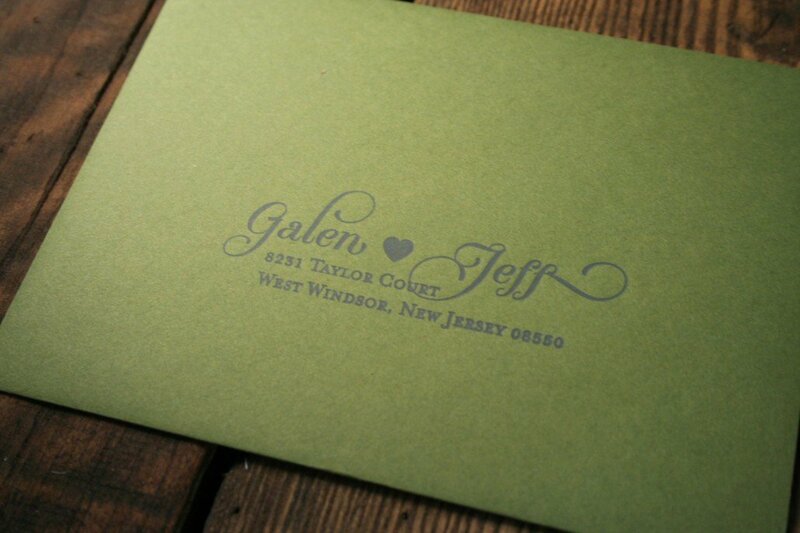 Combine classic motifs with modern whimsical design elements with our Silhouette design! 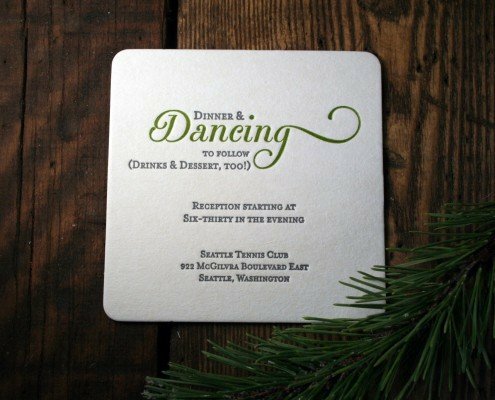 Silhouette lovingly combines contemporary fonts styling with modern embellishments, a timeless border element, and customizable silhouettes which harken back to early 20th Century design. 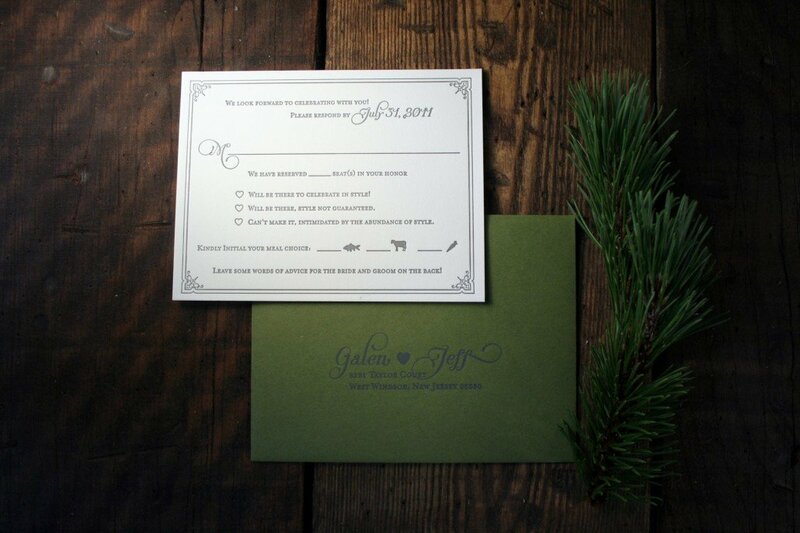 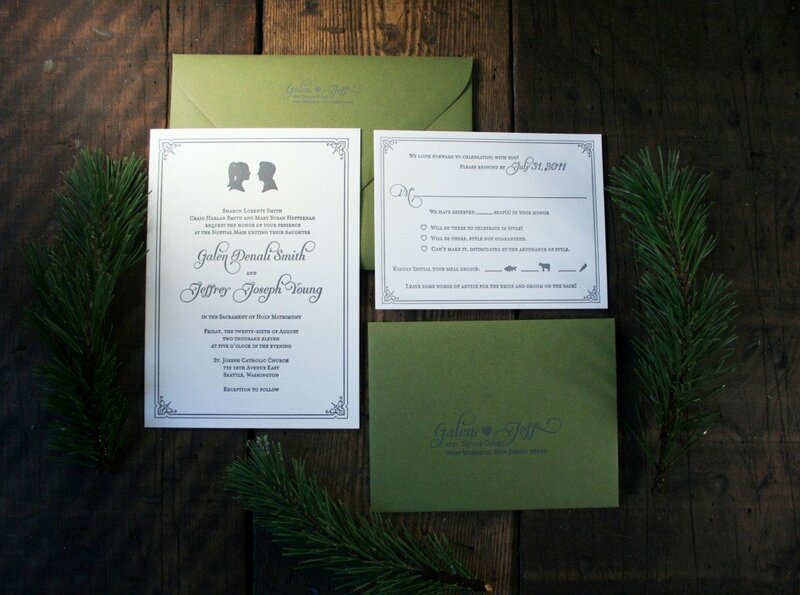 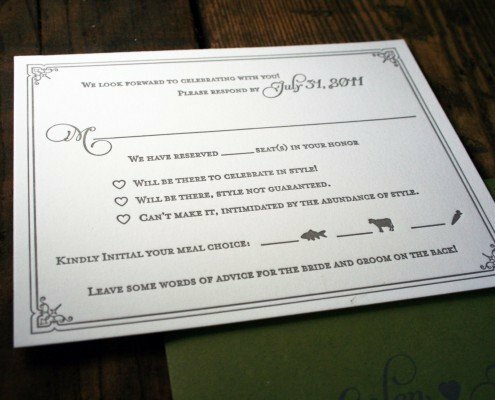 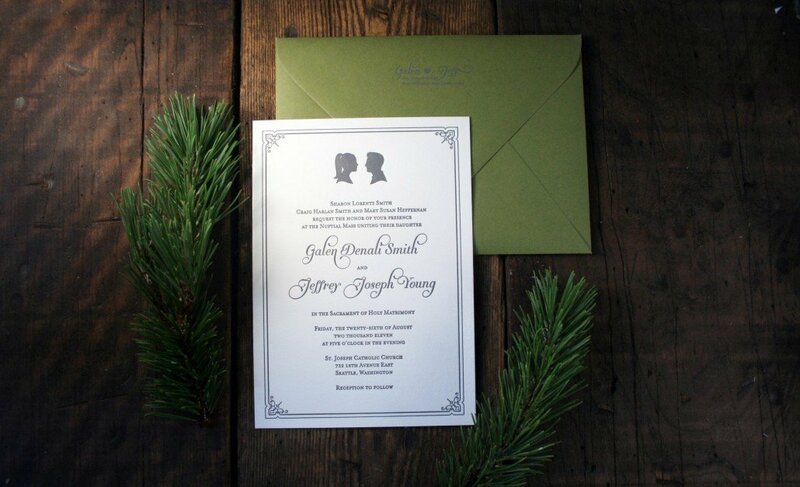 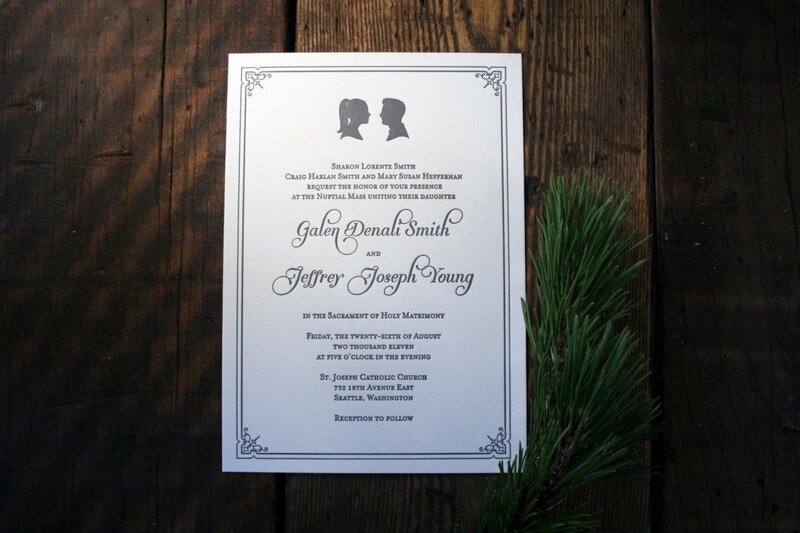 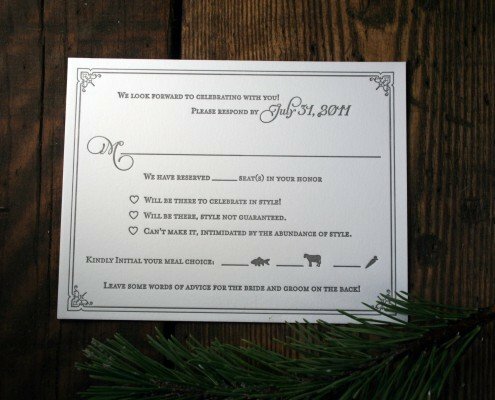 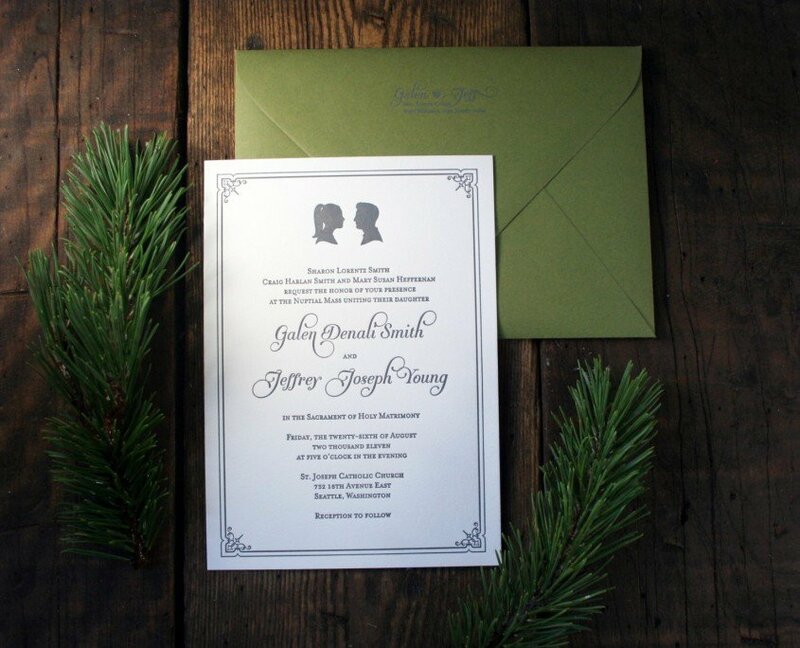 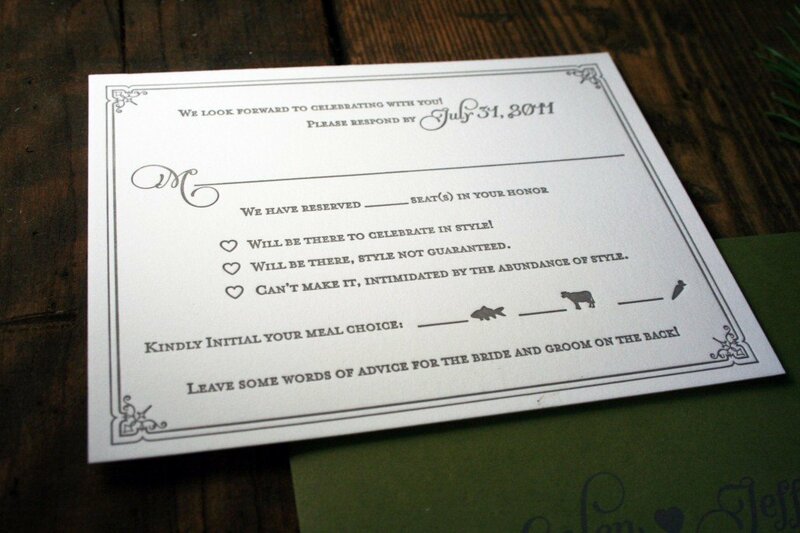 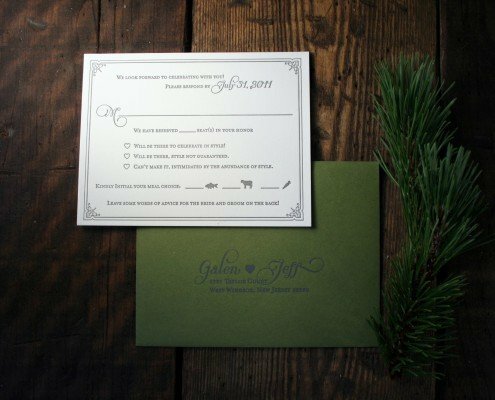 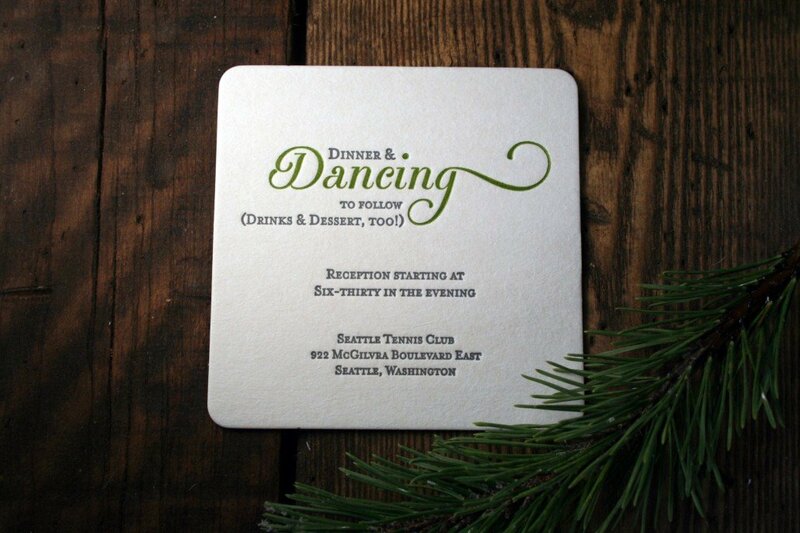 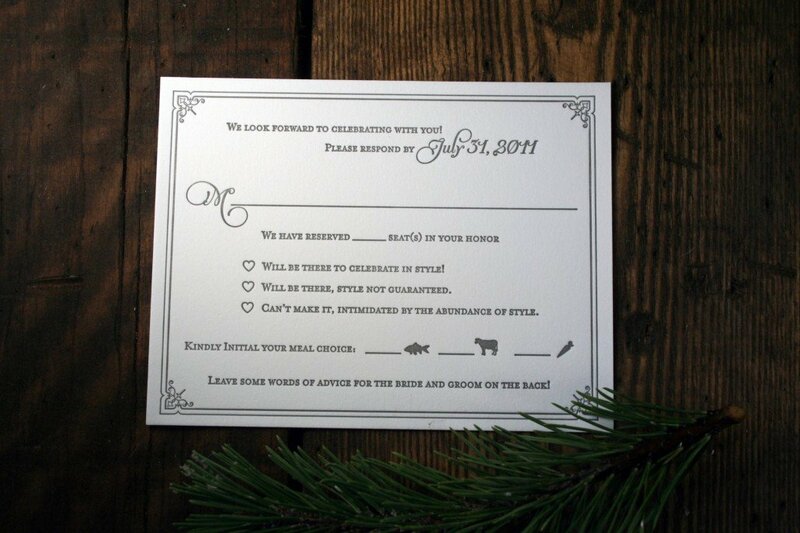 Set the stage for your wedding day with these beautiful and fun letterpress invitations! 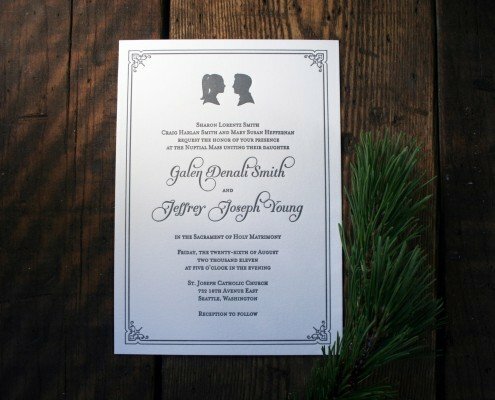 This design was originally created for Mrs. Candy Apple on WeddingBee.com. 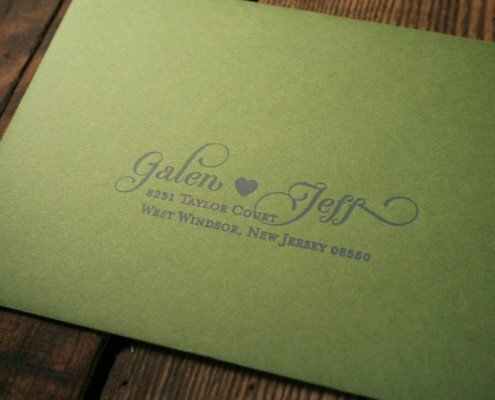 See her original reviews of it here, here, and here.